Many people have the notion that becoming a mother, while wonderful, is a detriment to their careers. Taking a career break during maternity leave, and possibly longer, they worry that they will stay out of touch with their employer, and possibly miss out on career opportunities that are afforded to those other people – the non-parents! And even after maternity leave, there may be the need to reduce work hours, thus scuppering the chances of that promotion further. And here’s the thing. In some cases, that notion might be true. Becoming a mother can have benefits to your career, so while there may be downsides, it is also worth looking at the possible upsides too. 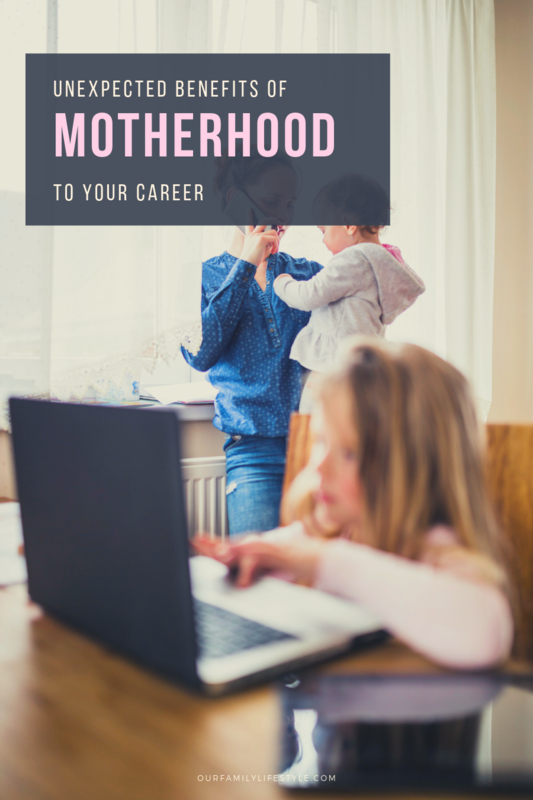 Motherhood gives you time to reassess your career. During an enforced break, you will get the opportunity to take stock of your life. You will have time to think – in between the diaper changes and temper tantrums – and you might decide that your career wasn’t the best fit for you anyway. You might then start thinking about a new career (more in a moment) or decide to find ways to earn money at home, perhaps with your own business. Motherhood gives you time to improve your employability. Your employability doesn’t have to suffer during your extended time away from the workplace. With plenty of time at home, you might, as we suggested above, start a part-time business from your sofa, as this will hone some of your working skills. You can then continue your business full-time when opportunity affords, or use it as a means to improve your employability before going back to work later on. You also have the time to study, so consider looking for an online course to elevate you in your current career, or perhaps (as we will discuss in a moment) consider a change of career that befits you mom skills, and enroll at one of these online colleges for social work or similar. Motherhood prepares you for certain careers. As a mom, you pick up parenting skills that can be transferred into job skills. This includes career fits into caring roles, such as social work, nursery nursing, and midwifery. Picking up skills in working with children, you might also consider teaching, classroom assistant roles, and youth work. You might also consider working for a children’s charity or train in courses such as child counseling or psychology. Of course, you don’t have to work with children at all, as your parenting skills can be used for many careers. See below. Motherhood allows you to hone certain skills. There are all kinds of transferable mom skills that you can put on your resumé when applying for new job roles, and these might opening doors for you that you might not otherwise have been afforded. We are thinking of time-management skills for example, which you will quickly develop when you find yourself having to do ten jobs at once while looking after your children and your home. And we are thinking of negotiation, communication, and organizational skills, all of which will be honed as a parent. There are more transferable skills listed in the link above, so have a look, and where appropriate, add them to your resumé. So, don’t assume your career has to stall or diminish after becoming a parent. We don’t have to give up hope! Motherhood offers many benefits to your career, and we have only touched upon a few. Let us know what you think, and if can list any further benefits, please share them with us, for the benefit of any of us taking a break to look after our children.